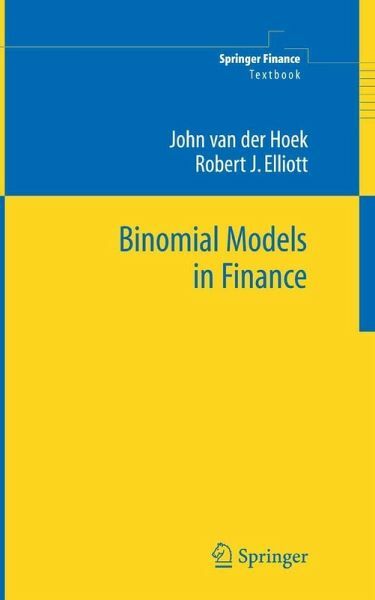 This book describes the modelling of prices of ?nancial assets in a simple d- crete time, discrete state, binomial framework. By avoiding the mathematical technicalitiesofcontinuoustime?nancewehopewehavemadethematerial accessible to a wide audience. Some of the developments and formulae appear here for the ?rst time in book form. We hope our book will appeal to various audiences. These include MBA s- dents,upperlevelundergraduatestudents,beginningdoctoralstudents,qu- titative analysts at a basic level and senior executives who seek material on new developments in ?nance at an accessible level. The basic building block in our book is the one-step binomial model where a known price today can take one of two possible values at a future time, which might, for example, be tomorrow, or next month, or next year. In this simple situation “risk neutral pricing” can be de?ned and the model can be applied to price forward contracts, exchange rate contracts and interest rate derivatives. In a few places we discuss multinomial models to explain the notions of incomplete markets and how pricing can be viewed in such a context, where unique prices are no longer available. The simple one-period framework can then be extended to multi-period m- els.TheCox-Ross-RubinsteinapproximationtotheBlackScholesoptionpr- ing formula is an immediate consequence. American, barrier and exotic - tions can all be discussed and priced using binomial models. More precise modelling issues such as implied volatility trees and implied binomial trees are treated, as well as interest rate models like those due to Ho and Lee; and Black, Derman and Toy. The Binomial Model for Stock Options.- The Binomial Model for Other Contracts.- Multiperiod Binomial Models.- Hedging.- Forward and Futures Contracts.- American and Exotic Option Pricing.- Path-Dependent Options.- The Greeks.- Dividends.- Implied Volatility Trees.- Implied Binomial Trees.- Interest Rate Models.- Real Options.- The Binomial Distribution.- An Application of Linear Programming.- Volatility Estimation.- Existence of a Solution.- Some Generalizations.- Yield Curves and Splines.